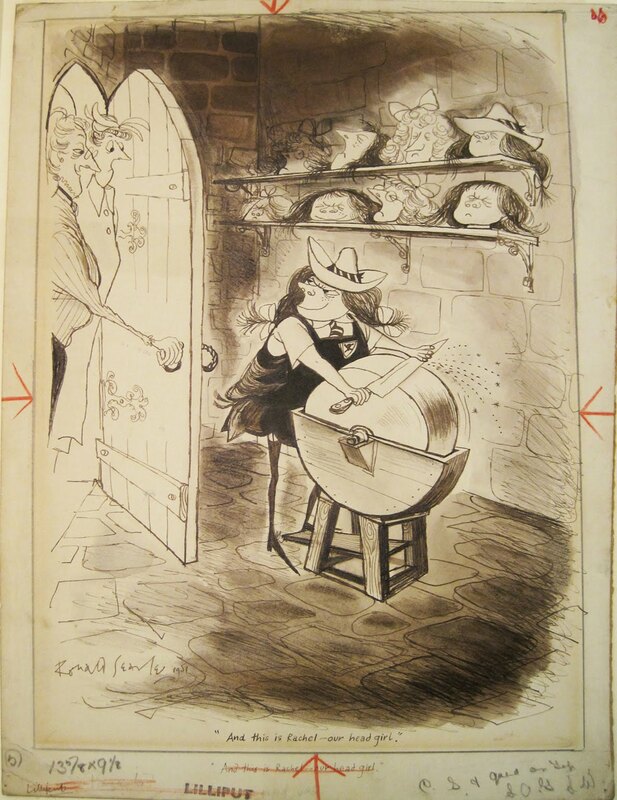 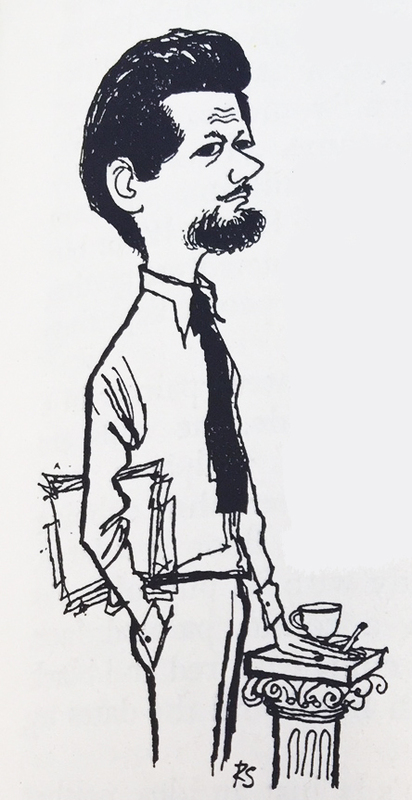 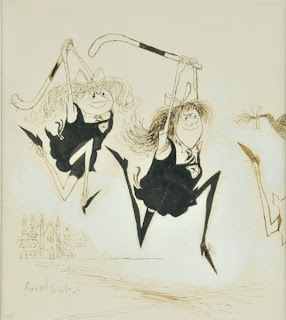 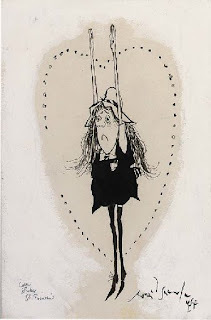 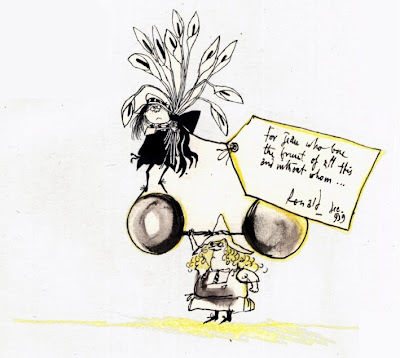 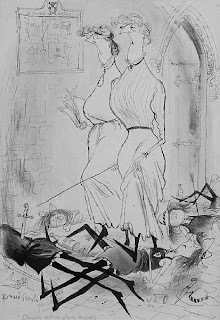 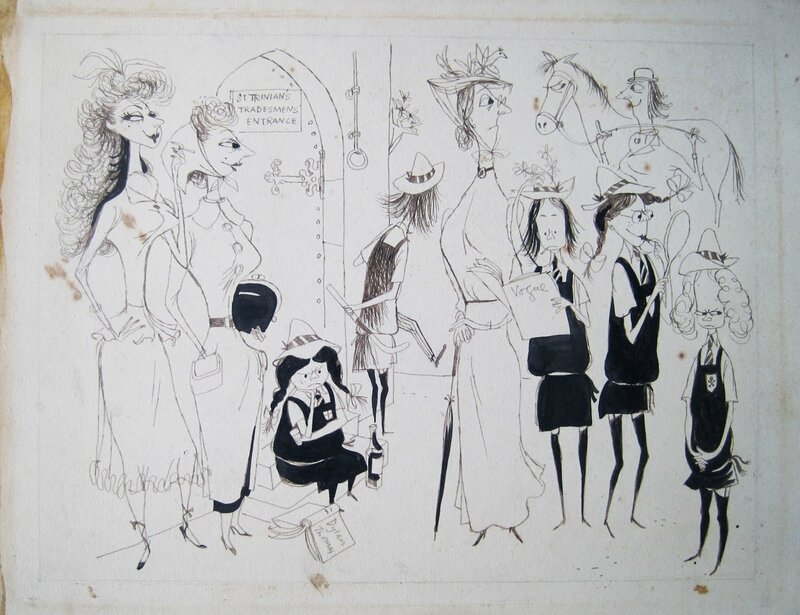 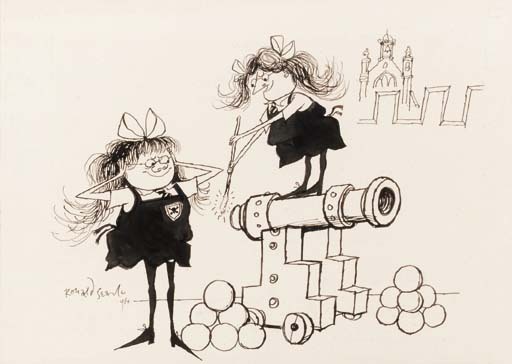 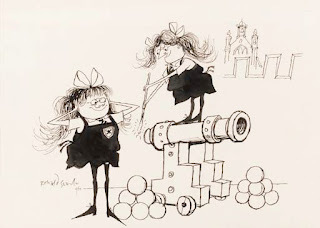 "I'll just die, then you will be sorry"
Ronald Searle artwork advertising the feature film Blue Murder At St Trinians (1957). 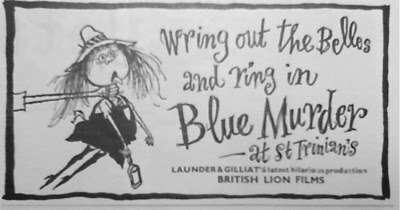 From page 3 of the Daily Cinema, 2nd January 1958. 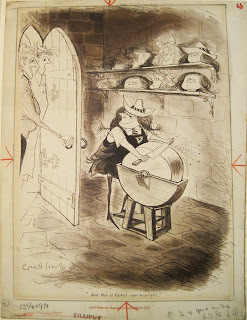 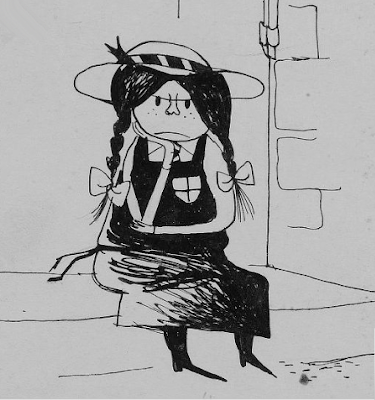 'And this is Rachel-our Head Girl' from the collection at the V&A, London.